As the American presidential campaign draws to a close, Donald Trump desperately needs to make up for his deficit among women voters. The gender gap has become a chasm, largely because the dishonest media insists on quoting Trump verbatim all the time. So unfair! But Trump has a secret weapon up his sleeve: his loyal wife Melania! Brilliant! Everybody knows how closely American women, especially busy suburban soccer moms, identify with foreign-born trophy wives who come to the defense of their wealthy, bullying husbands. They will be hanging on every heavily accented word the stunningly gorgeous Melania has to say. But it isn’t just Melania’s vouching for her husband and graciously forgiving him for bragging about sexually assaulting other women than can seal the deal. 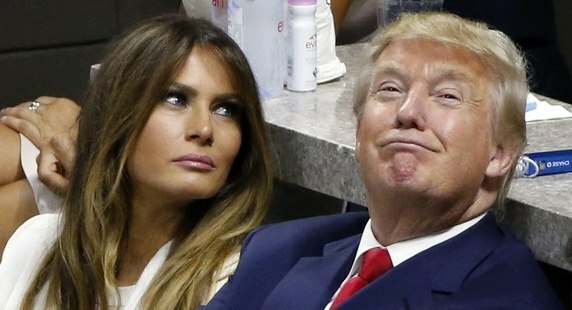 Her being out there with him on the campaign trail will give Trump the opportunity to add a little humanizing humor to his image by mercilessly making fun of Melania the way he did at the Al Smith Catholic Charities Dinner. Women, again especially busy suburban soccer moms, love watching self-important, braggart husbands humiliate their wives in public. Its very endearing. This election isn’t over yet.